Yoshino cherry spread out along with the rail of "Matsuura train Uranosaki Station". It was planted in 1930 and in this time when the station established. Locals have loved Yoshino cherry. You can see about 90 Yoshino cherry from the train window. You can enjoy watching them from on the train or seeing the train running behind the trees. Also train funs can enjoy it. 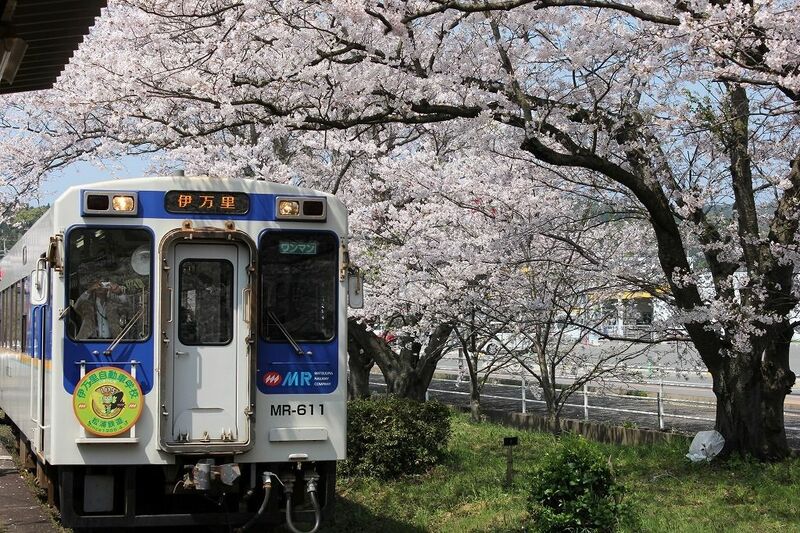 "Station Festival of Cherry Blossoms" is held when it is the best time to see the cherry trees.